Wow. Want the coolest door on the block? These TARDIS decals will make that happen. Paint your door blue and keep it up year-round, or dress up your house for Halloween. The decals will work on other things as well–perhaps a TARDIS fridge is in order? 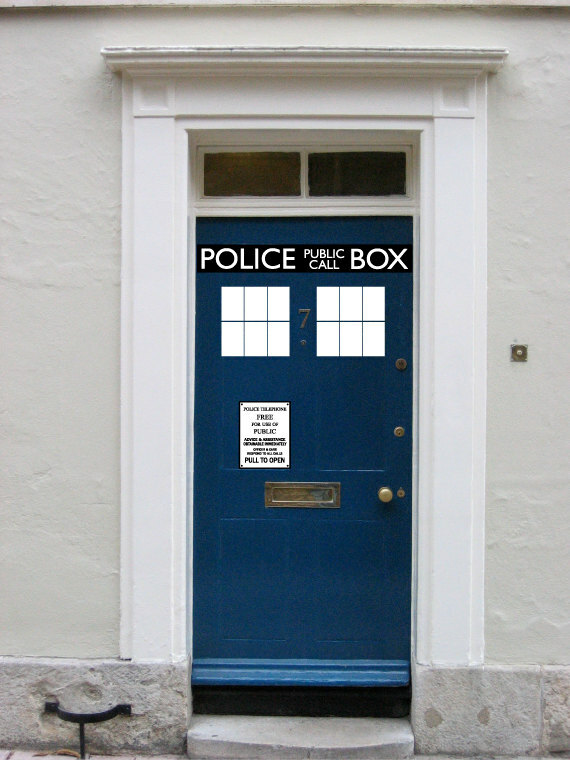 Police Box Door Decal, $29.99 at Etsy.com. this is super cool! i want that to be my front door!